KIA Service and Repair in Holly, MI | Armstead Automotive - Armstead Automotive Repair and Service Inc. If you are a Kia driver in or around Holly, Fenton, Flint, or Grand Blanc and you are looking for a good auto mechanic whom you can really trust, then you need to bring you Kia to Armstead Automotive Repair in Holly! At Armstead Automotive Repair, you can experience a different kind of auto repair shop for all your Kia auto repair needs. We’ve been nurturing the communities of Holly, Fenton, Flint, and Grand Blanc since 1986 with fantastic auto repair, and we want to take care of you, too! 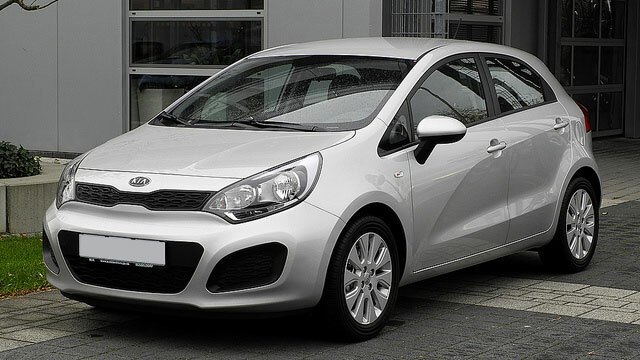 Kia vehicles are prized for their fuel economy and fantastic looks. And, with regular auto repair maintenance, there’s nothing to stop these zippy little vehicles from lasting at least 200,000 miles, if not more! However, Kia vehicles also have a number of known issues with their engines, drive trains, and exhaust systems, and that means that you need an expert auto mechanic to guide you through the life of your Kia. “I feel you are always honest about the work that needs to be done. Picture of leak before work was done and diagram of alignment before and after helped understand what was going on with my car. Great guys working there! Best place to go for Auto repair.” -- Ann H.
You can see the difference right away when you bring your car to Armstead Automotive Repair. Whether you need a major transmission overhaul, routine auto repair maintenance, or just an oil change, Armstead Automotive Repair has the requisite experience to make sure that you and your family stay safe on the roads of Holly, or anywhere else you may need to go. We’re a family-owned business, first and foremost, and we stand by our work. If we work on your car, we’ll take full responsibility for each and every auto repair. We know about anything that’s coming back before you do. Nothing matters more to us than earning and keeping the loyalty and unwavering trust of our customers! You can trust us, too. Just give us a call anytime, or use our online appointment form to schedule a reservation. We are located at 15310 Fish Lake Road in Holly, and our hours are from 8:00 AM - 5:30 PM, Monday - Friday.